We announced in March,2014 that we were rolling out a new program for incarcerated youth in NYC. This program, a creative writing poetry workshop, will be accessible to young people who are incarcerated or detained. In these workshops, young people learn new tools for coping with stress, moving past trauma, and learn to take responsibility for their actions and their emotions. They will learn self-expression techniques using poetry and creative writing. 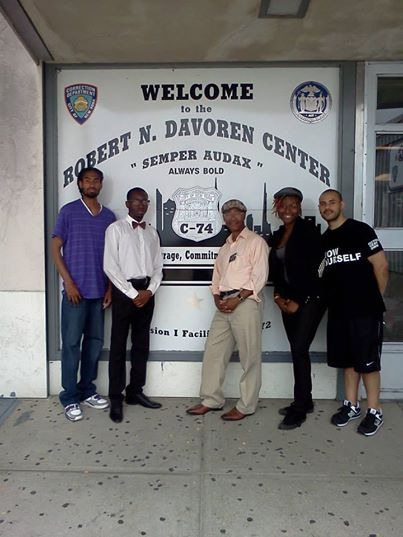 We are happy to report that the program “no more silent voices” will commence Saturday July 19, 2014 at Rikers Island from 12 noon to 2:00pm for youth 16 and 17 years old. We will have a poetry slam performance for these youth on July 19th and return Saturday to do the workshops. Pictured from left to right : Definition, Distinquish, Curtis, Relle, and Danny. Just wanted to send an e-mail across and say thank you for the excellent poetry reading event last night at Brownsville Heritage House. It was an excellent experience for me and I really appreciate the warm welcome I got from everyone there, seeing as I’m in another country and was reading poetry in public for the first time. I was made to feel really comfortable so I could express what I had to say. Thanks once again and look forward to hearing from you. 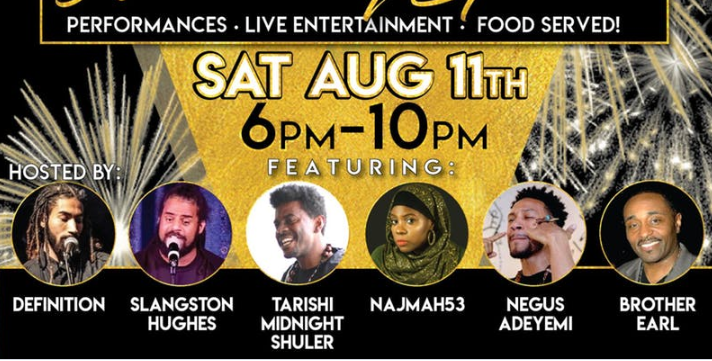 Curtis Harris a resident of Crown Heights and founder of Green Earth Poets Cafe, a organization that promotes literacy, self-confidence, communications, community, and educational development among young people in disadvantaged areas of NYC through the performing arts.